When refugees arrive in Germany and apply for asylum, the registration office and the doctors of Berlin’s refugee health department are the first people they meet. Oftentimes it is their first opportunity to see a health care professional in weeks or even months. During the past two years our health care system here in Germany has been overwhelmed by the large amount of immigrants coming to Europe. Many refugees got sick on their long and exhausting trip, and as challenging as it is to see a doctor during war, is it just as difficult to consult a doctor in Europe without health insurance. Until their registration in a European country is done, they can only hope that a hospital will take them in without insurance – or they must rely on volunteer clinics. Fortunately, many of Berlin’s doctors and nurses offered their help in the refugee camps. 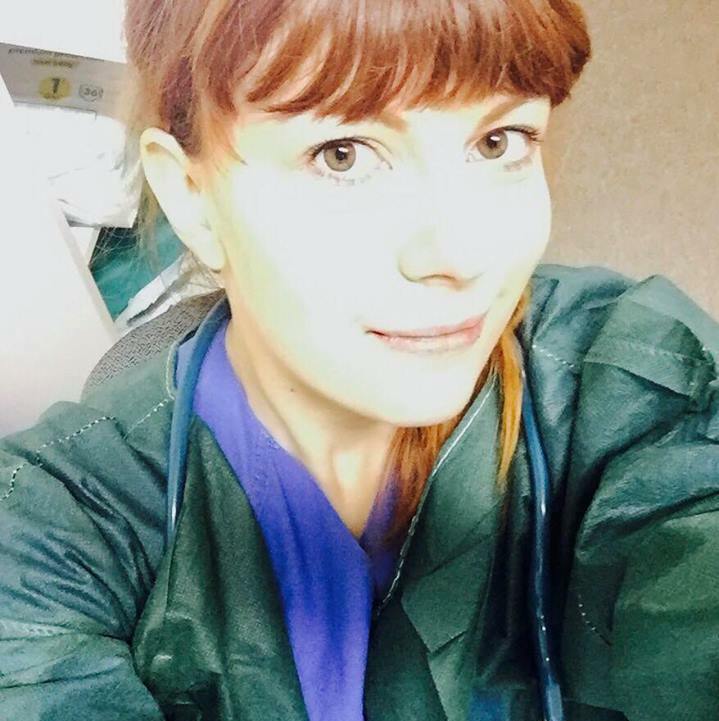 I started my journey as a volunteer doctor for refugees in 2015. At the time, the situation in Syria was changing dramatically and many people decided to leave their homes and come to Europe, hoping to escape from the death and terror they had to face in their home country every day. Later on I began to work as a Paediatrician in Berlin’s newly founded refugee health care department. So far we have registered over 50,000 asylum seekers and offered them health check-ups, TB screenings, vaccines and emergency medication. Of course I secretly hoped to meet people with diabetes amongst them so I could assure them my support. But day after day went by without meeting anyone with diabetes, and even after a few months we met only a handful of them. It made me think about what they might face on their physically and psychologically challenging journey, and whether most people with diabetes are able survive the trip at all. According to prevalence statistics, we should have met far more people with diabetes – but they simply did not show up for registration. Can you imagine how hard it must be to be a refugee with a chronic condition? When there is already a shortage of food, water and electricity, finding access to insulin, diabetes supplies and health care professionals will be an even bigger problem. Living with diabetes is a lifelong challenge that people must deal with every day, but living with diabetes in a humanitarian crisis is literally the worst situation you can imagine yourself in. Everything is uncertain. When you will arrive, where you will arrive, what your diabetes care situation will look like – no one knows. The first refugee child with type 1 diabetes that I saw was a young girl, the oldest sibling in a family of 5. She was diagnosed at the beginning of the war in Syria. Insulin was rare and expensive after the only insulin producing company was bombed. Like many other families, her family decided to leave the country very early and look for help in Syria’s neighbouring countries, like Lebanon. Hoping to find better health care for their daughter, they decided to go to Europe together with the millions of Syrians that came over the past two years. On her arrival in Germany, she had been out of test strips for two days and had not taken any short acting insulin or food since the day before. When we checked her blood sugar it was very, very high. Together with our Arabic speaking interpreters, our team made sure she was not in a severe, life-threatening DKA. We ensure that she would get her insulin, strips and something to eat as soon as possible. 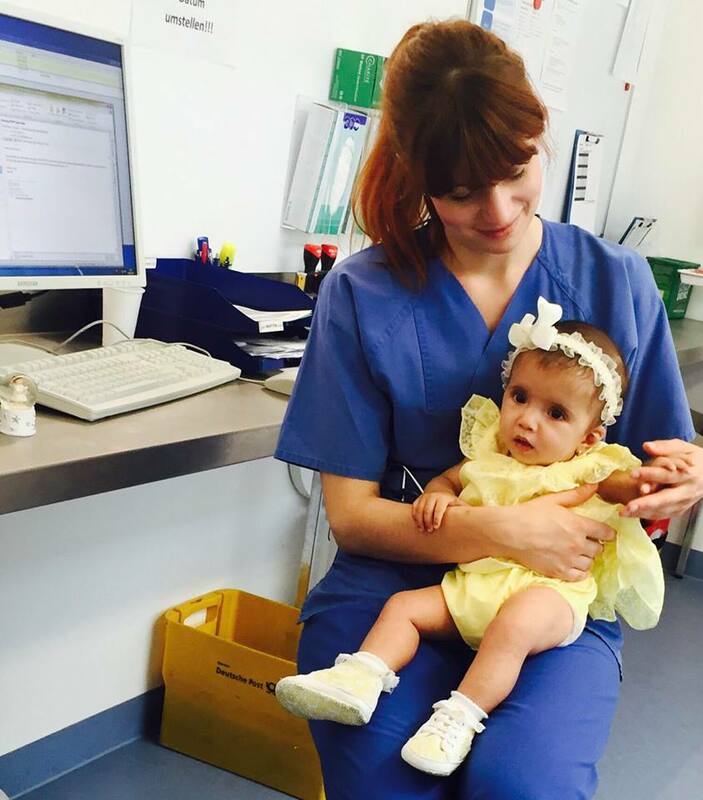 Since that day, our Paediatric Endo team has been taking very good care of her. When she showed up to our diabetes clinic recently she even managed to talk to us in German and translated to her father in Arabic. Unfortunately, her journey was still not over after arrival. Her family has been placed in various refugee camps, some of them with quite miserable conditions, making her stressed out and her blood sugars rise. Her HbA1c levels have been jumping up and down. Whenever her family had to change accommodation another time, which we unfortunately could not prevent, our team and her family had to start from point zero again – explaining the needs of a child with diabetes to another refugee camp. We stressed that she needs assistance in calculating her insulin dose for food she is not familiar with, that she needs to have carbohydrates on her bedside in case her blood sugar goes low, even if the camp rules say it is not allowed to bring food in the dormitory for hygienic reasons. We were actually surprised that her glycaemic control seemed to be better before she came to Germany, but trauma, stress, change in diet, living conditions – all these will influence on her health. Meanwhile the situation in Syria’s conflict areas has worsened dramatically. Those who stayed have to fear deadly attacks on a daily basis. As the president of MSF (Doctors Without Borders) announced in one of our meetings last month, civilians and hospitals and food storages have become explicit targets for airstrikes, which makes it impossible for humanitarian organizations to operate. Usually these places are protected by the Geneva Conventions, the international humanitarian law that assures safety to all humanitarian workers, sick and wounded people. The violation of these laws is seen as a war crime – yet still the health care facilities we see on the news today are likely to be no longer there tomorrow. Before the war, diabetes was a manageable disease in Syria. Now it has suddenly become very painful and deadly. The news that even humanitarian organizations can hardly act on this matter for those in need are not easy to digest. We sincerely hope that our chance will come to help again. Meanwhile, I am glad to see that T1International is working with the Syrian American Medical Society to provide insulin and supplies to those that still remain in parts of Syria. In Germany, we will continue to help the ones that newly arrive after their terrifying journey. It is important that even if time goes by, we do not let ourselves forget that there are still people lacking insulin out there that need us to act. Katarina was diagnosed with T1D at the age of 12. She is a doctor in specialty training for Paediatrics and a diabetes researcher in Berlin, Germany. She is also a former IDF Young Leader in Diabetes and a volunteer in refugee health care. What Happens to Diabetics During a Humanitarian Crisis?